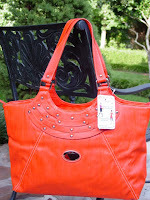 Clemson Girl: New orange and purple handbags and wallets from Game Day Divas – get 10 to 20% off! 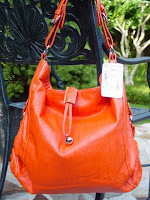 New orange and purple handbags and wallets from Game Day Divas – get 10 to 20% off! Our favorite ladies from Game Day Divas have gotten in a ton of new products – including brand new orange and purple handbags and wallets! 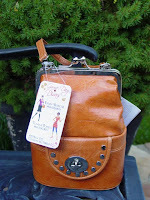 Every Clemson Girl needs a gameday purse with her on gamedays – especially since you never know how long you’ll be tailgating, where you’ll be tailgating, or what you may need while tailgating or watching the game. 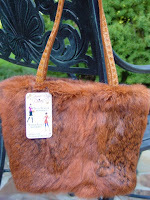 And of course not just any purse will do – but a fun and funky purse that compliments your gameday outfit. Check out some of their newest selections below. 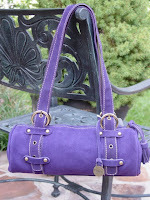 The purses in the middle below are suede! 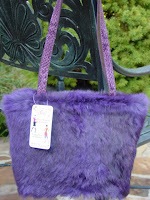 And how fun are the faux fur purses at the bottom? Any of these purses would be super cute for gameday (or any day)! I think my favorite may be the orange leather purse, pictured in the first row on the far right – it looks like it could hold EVERYTHING you need on gameday. 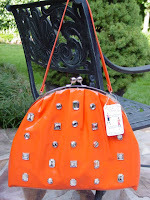 Game Day Divas also sells this adorable mini-purse in orange – perfect for the Clemson Girl who doesn’t want to carry a big purse, but still needs something to hold the necessities (money, cell phone, lipstick, etc.). 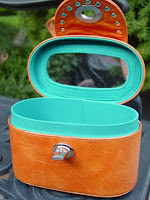 This cute mini-purse has a compartment on the bottom with a mirror inside so you can always check your lipstick or hair! Shop any of the styles below on the Game Day Divas Web site or visit the Game Day Divas this weekend in Clemson at their booth – right in front of Tiger Town Tavern downtown. 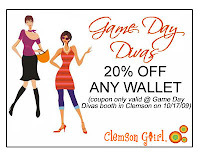 Game Day Divas is offering ClemsonGirl.com readers discounts for their handbags and wallets – present the coupons below (click coupon image for larger, printable version) to the Game Day Divas on Saturday (Oct. 17) and get 10% off of ANY handbag and 20% off ANY flat wallet. 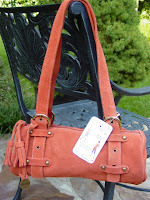 Visit the Game Day Divas Web site to view their entire selection of awesome handbags and wallets. The Game Day Divas strive to offer fun and funky pieces that you’re not going to find anywhere else – so don’t miss out on these great items before they sell out!